Dezeen promotion: Italian furniture brand Varaschin has added a rocking chair with a net-structure frame and wooden base to its collection of outdoor furniture. The rocking chair was unveiled at this year's Milan design week. It joins the brand's existing Summerset collection, which was designed by Christophe Pillet and first launched in 2009. The chair features Varaschin's signature net-structure frame made from powder-coated steel. Its legs are supported on an iroko wood base, while removable cushions available in a number of colours provide additional comfort. 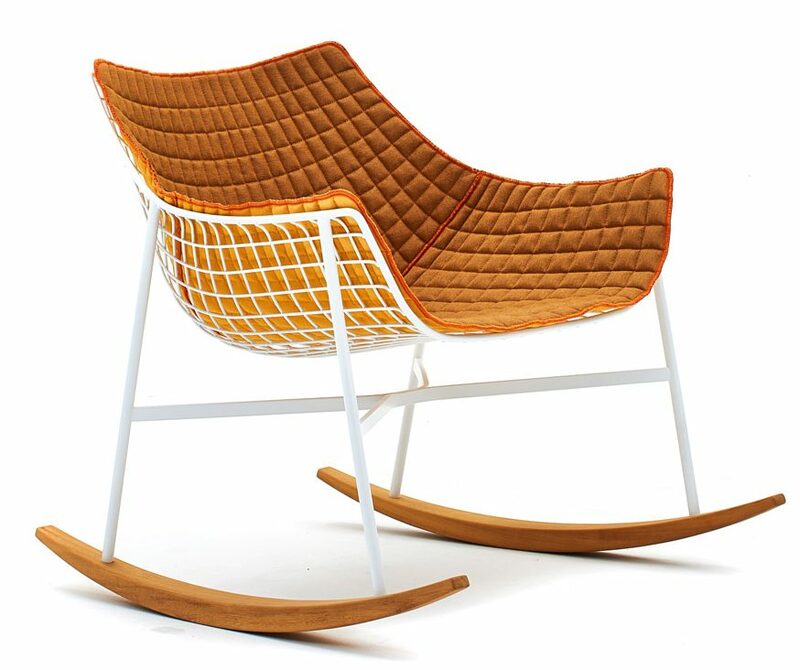 The brand believes the outdoor rocking chair makes a "connection between tradition and modernity." Varaschin was founded in 1969 by brothers Ugo and Pietro Varaschin. 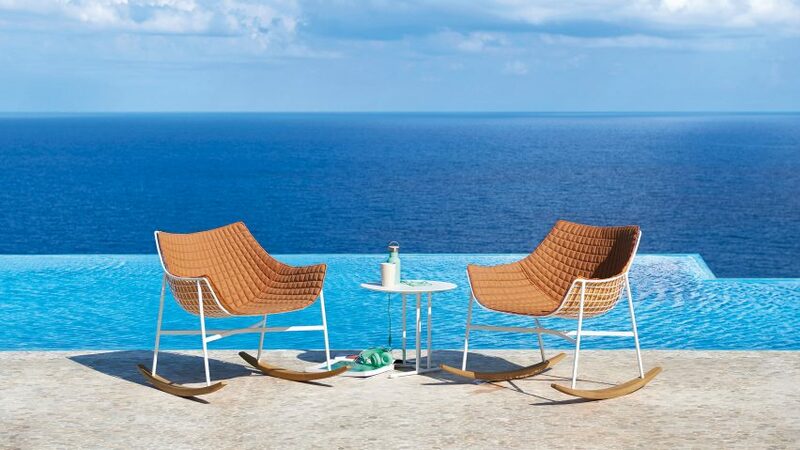 The business was built on the production of hand-woven rattan and wicker furniture, but in 2000 it began to branch out into other materials such as aluminium, wood lacquer and leather. Since 2009, the company has focused its efforts on the production of outdoor furniture – with the Summerset collection marking the first time it had worked with powder-coated steel. "Outdoor furniture is not just a decoration," said the company. "It brings comfort benefits and is extremely functional, but it also represents the chance to get closer to nature and to enjoy staying outside all year round." The Summerset Rocking chair completes the larger collection, which includes a chair, dining armchair, lounge armchair, high and low bar stool, coffee table and table base. Visit the Varaschin website for more information.